Video editing demand is rising, especially due to the rise in video sharing on social media sites. For the perfect video, you need a professional video editing software. People do not have the patience or the time to watch a mediocre clip. Lightworks video editing software has the ability to transform an amateur video to a box-office level clip. 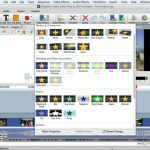 Read on to learn more about this free video editing software. Lightworks is a video editing software by Editshare, which was first developed in the early 1990’s. It has since evolved to become a pro video editor used by everyone from wannabe movie directors to professional film makers. The software was used to edit popular hit movies such as Heat, LA Confidential, Mission Impossible, The Departed, and The Wolf of Wall Street. The software has an intuitive user interface that allows quick access to all the features. You need not worry if you are a beginner or are not familiar with the software. There are tutorials on the software’s website that will guide you through the basics. The software has a free and pro version. The free version has all the features the only restrictions being the output formats. You can get a feel of the video editing capabilities of this software using the free version. If you feel you need more output formats you can purchase the licenses. The most notable features of this video editor are the royalty free media. You can access stock music and video from Pond 5 and Audio Network. Also, the software comes with over 100 visual and audio effects. You can perform simple video editing tasks such as trimming and advanced tasks such as 3D animations. Not yet convinced this is an excellent video editing tool? Read on. When you open the software, it occupies the full screen. If you want it to feel like all other apps, you can have it Windowed by going to the System Settings located at the bottom left corner. Click on Full Screen and select NO. You will immediately appreciate the beautiful blue user interface. However, you can customize the background to any color you want. Open the System Settings menu and under User Interface, open Appearance. There you can set the background to the color that pleases you. To start video editing, create a new project. For good results, Lightworks recommends that you set the correct frame rate (fps). If the frame rate of the input does not match the output, the output video maybe of low quality. To know the fps of the input video use third party apps such as VLC Media Player. You can customize the workspace any way you like. By default, the toolbar is located on the left side. On the top left is the current project settings. After setting the workspace window as you like, you can save it as a Room in the project settings. At the bottom of the window is the playback control bar. Its position cannot be altered. Clip – refers to the original footage being edited. Subclip – the resulting video after cutting or trimming. Bin – the collection of clips in a project. Anything you import goes to the bin. Log – this is the file with all the subclips relevant to the project. Rack – a file that contains subclips and files in the bin. However, it only holds a maximum of 15 files. Lightworks has the following unique features. Video trimming and cutting is a basic editing task. This software makes this task simple enough for an amateur video editor. Combining the subclips for the final edit is much easier compared to other software. The software comes with basic inbuilt effects such as color correction, blurring, and masking. Also, you can choose other effects from over 100 preset effects. Your average video editor does not support multi-camera editing, but this software does the job. You can import clips from different sources to your bin thus saving a lot of time and effort. As a film maker, this feature is priceless. Some projects are too big for one person to handle. You can collaborate with your friends through real-time sharing of visual and audio effects, media, edits, and bins. Also you can control which users has access to what. The user interface is highly customizable. You can change its appearance, the text color, and wording. Also, you can show or hide the OS title bar and the hints. Oh yes, the software provides editing hints. Do you need to use third party hardware to enhance the video quality? Lightworks supports these three popular I/O hardware providers; Matrox, Blackmagic and AJA. The software is speed optimized to provide fast and real-time video rendering. You can perform several tasks simultaneously without affecting the editing speed or final output. The software perfectly works with your keyboard. However, the patented keyboard and console provide a unique video editing experience. If you can afford these items, they are worth every penny. The video and audio effects are easily accessible from the timeline. There are many effects available on both the free and pro version. The only limitation of the free version is the stereo 3D effect and titles. You can also create effects templates and copy and paste the effects to different video clips. Developers constantly add effects plugins. 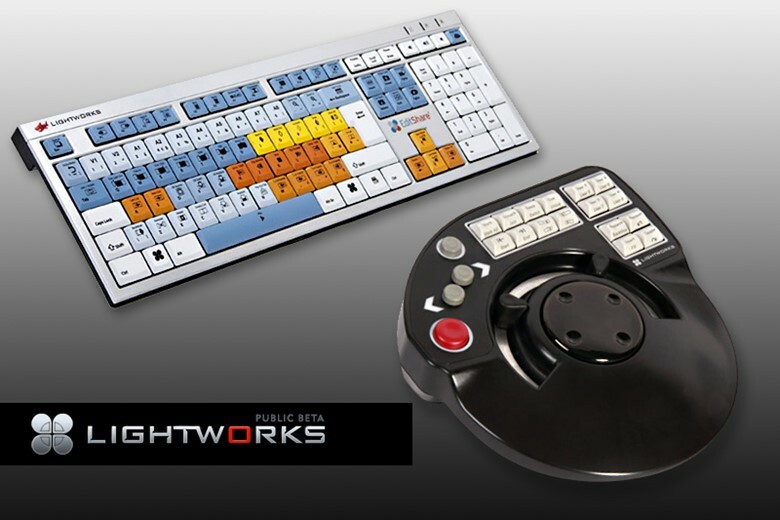 Therefore, check the latest developments in the Lightworks forums. Due to its popularity, developers are motivated to design plugins for this software. Its features are sufficient enough for both beginners and professionals. However, some experts and enthusiasts still feel the need to fill in some gaps. The plugins enhance the software capabilities such as trimming, video quality, and adding special effects to clips. This plugin video effects and 3D motion graphics. Its 3D compositing work platform allows you to edit live video from a camera. It has an excellent image editing tool, volumetric video effects and you can add 3D particles.Its stereoscopic production feature facilitates adjustments on 2D and 3D details. It also makes it easy to add filters and effects. You can even animate text on the video. 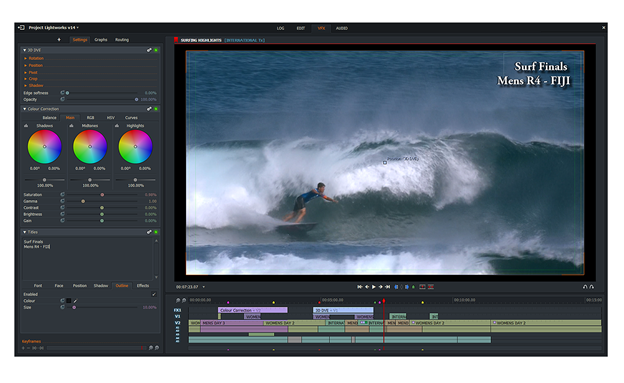 Blackmagic Fusion allows collaboration as several people can work on the same project. Boris FX is popular among video editors. In fact, this plugin is included in the Lightworks Pro Outright license and is an option in the Pro subscription license. It has user friendly interface that allows accessibility to all important features.The plugin has an unlimited number of media layers and allows masking of these layers with the pixel chooser matting or the masking system. 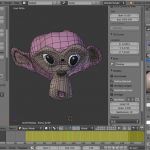 It allows the creation of PIP and 3D effects using over 100 animations. Boris FX facilitates audio and video synchronization thereby improving the output quality. The plugin is only compatible with Windows 64 bit and Mac OS X. This plugin also facilitates advanced video editing. Its particularly impressive features are the Luna, Romantile, and Brush effects. Its UI is very modern.The Luna effect allows you to create a moon in your video. You can then set the moon’s rotation, bumpiness, and size and also create a lunar phase. Additionally, you can set sky colors, such as Halo, and alter the atmospheric details. The Romantile effect helps blur out things on your video that are not clear. The Brush facilitate the adjustment of shapes. Like Boris FX, Graffiti is included in the Pro outright license, and is an option in the Pro subscription license (you can either choose Boris Graffiti or Boris FX). Graffiti is a video editors favorite and is also available on other editors such as Resolve, Adobe, and Sony Vegas Pro.Graffiti comes over 75 BCC and FFC filters. Users find the 3D and 2D title animations highly useful. Also, you can import scalable vector arts to use in the video. Other editing features include the motion blur effects and color correction tool. This plugin is only compatible with Mac OS X and Windows 64 bit. Lightworks rendering speed is very impressive. You can import other files as you edit your video and exporting videos to your favorite social media platform all at the same time. The software is speed optimized to an extent some video professionals consider it the fastest editor in the market. The video quality depends on the output format you choose. Lightworks supports 4K video, so it is safe to say the video quality is great. On the free version, the best quality you can get is 720p, which is not bad at all. For the best video quality, you have to set a high bitrate during export. After editing your video click on export to share it, burn it to DVD or Blu-Ray disk, or save it on your computer to transfer it later. From the software, you can directly share the video on Vimeo or YouTube. On the Export window the first item is Content. Here you select the content you want to export. Next is Format, where you select the video format. After selecting the format set the file name and destination then click Start. 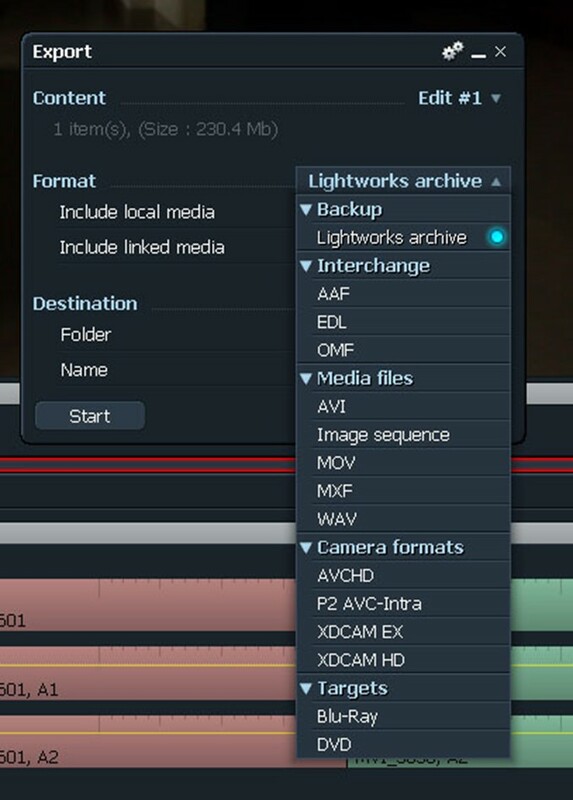 Lightworks supports a wide range of output formats. However, the free version is quite limited here as the only output format supported is 720p MP4 video which can be uploaded directly on Vimeo and YouTube. The pro version supports an endless list of output formats that include SD, HD, and Full HD up to 4K video resolution. The software supports all types of input formats. Thanks to the intuitive user interface, the software is easy to use, especially after you familiarize yourself with the tape-based film making phrases and terms it uses. Creating a project is easy. You only need to import your video, and the set the fps of the output. The input video could be a saved on your computer or a live feed from a camera. After gathering all the resources, you need you can start editing the video. The built-in effects will come in handy, but you can also import other effects from your computer or use third party plugins. Also, you can buy the Lightworks console and keyboard, but your computer hardware works just fine. 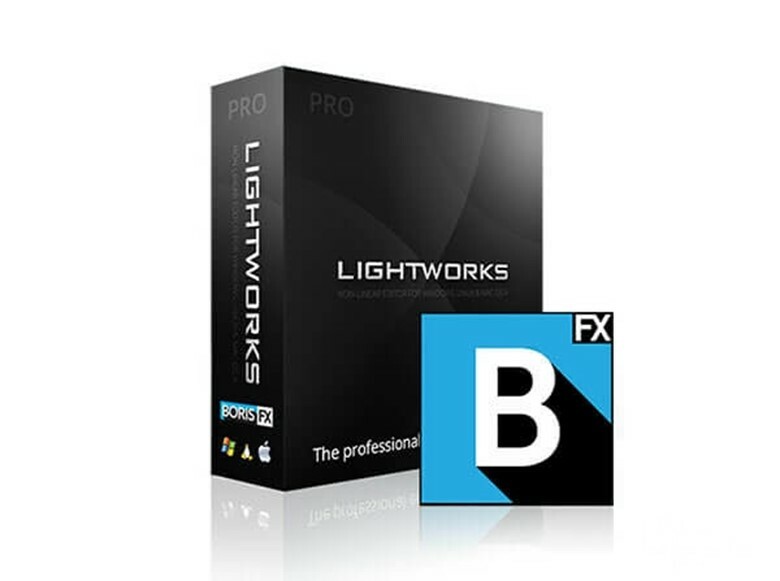 Lightworks software runs on the three major operating systems – Windows, Linux, and Mac OS X. On Windows, the software runs on Windows Vista and all later versions. It runs on OS X 10.9 and all later versions. 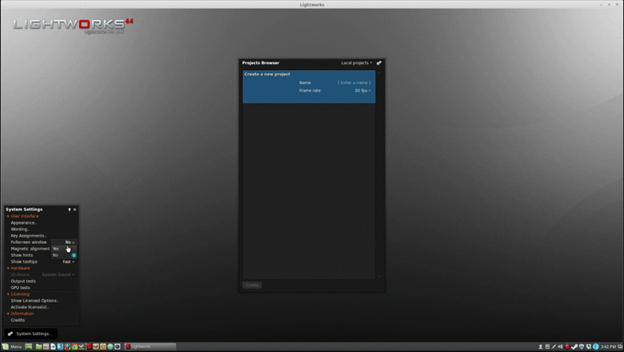 The software supports the Linux supported RPM distros Fedora version 20 to the latest. Also, it runs on the Linux supported debian distros Ubuntu from version 14.04 and Mint from version 17. Lightworks software works on both AMD and Intel motherboards and chipsets. There are several video tutorials on Lightworks official website. Beginners will find the quick start video quite resourceful. The tutorials cover topics such as installation, content management, import and export, video editing, keyboard shortcuts, effects, and multicam. For more support, hover the mouse over the “Help” button, where you can view the FAQ page, open the Activation Troubleshooting page or open the Contact Us page. The FAQs provide solutions to lots of problems – from installation to contour shuttle pro. Also the Lightworks forum is resourceful. You can ask any question regarding the software and the tech guys and other users will answer. The developers use the forum to announce the latest developments. Lightworks video editing software is an excellent and lightweight tool. It is easy to use and most of the features are available in the free version. You need to familiarize yourself with the terms and the UI. But after that you will hardly need to use any other video editing software. Visit the website to download this free video editing tool which is available in your preferred operating system.